Overview: Designed by FlukeDuke - the creator of "The Impossible Game" - comes a fast-paced actiongame playable with two players on one device! The games idea is as simple a addicting: You and 3 opponents are set in an arena which is haunted by a monster. 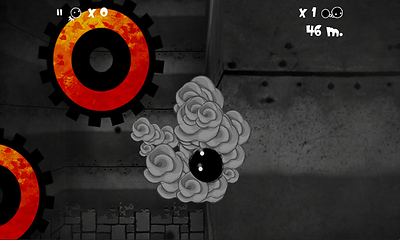 Each player tries to be the last man standing using classical 2d-gameplay mechanics. By using different weapons like flash grenades, a monster potion (turning you into a monster), an ice-rifle or even an automatic laser you are fighting for your life over and over again. 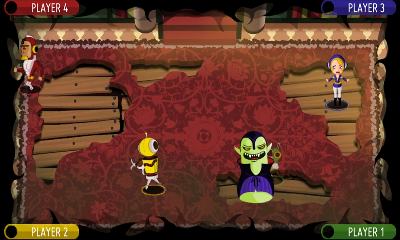 Sci-Fighters presents itself in a comic-like 2d-style using different settings like Martian Mansion or Toxic Forest. The game draws lovely animated characters and wonderful sceneries and background on the screen, designed by SuperFlashBros-genius Adam Vian. Overview: The scientist of our lab has found that there are some magic stones spreaded in the universe which are very precious and can be use to be immortal. So they decide to send a spaceship to collect these magic stones. But this is not as easy as it seems, there are so many slick and greedy hurdles like Space Stations, dangerous species, merciless aliens, asteroids, ufo and so many. Be confident and face all the tough situations, you have the powers like boost and invisible. There are amazing and awesome levels designed in WORLD form with a great artwork to entertain you. Download and enjoy this fabulous adventure game. 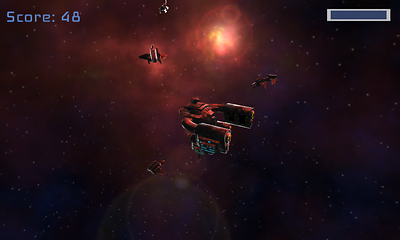 Overview: Space Fort is an addictive, action-pumped 3D space defense - space shooter hybrid game. 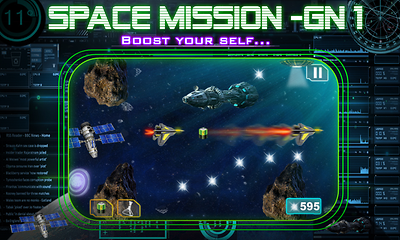 Your task is to defend your space fortress, from swarming waves of enemy spaceships! Use powerups and mass destruction weapons to hold the defense lines as long as you possibly can! Overview: Shape Findings adopts the casual 'Hidden Object' genre and expands its dimension into 3D. 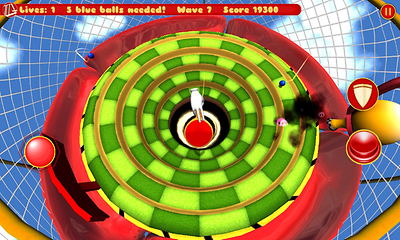 The objective of the game is to spot a certain shape in a toy-like environment. While this particular application aims to be a casual entertainment, it could also serve as a learning material - as an introduction to geometric shapes. This game is probably one of the first that falls under the '3D Hidden Object' category. - 3 target shapes to find: cube, cylinder and pyramid. - Complete soundtracks to accompany your finding session. - Ambience sound effects to match the scenery of the level. 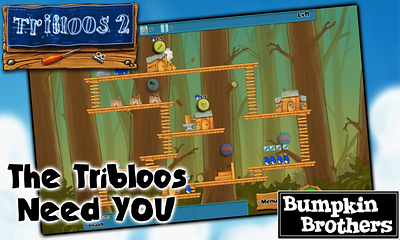 - Simply find the shapes determined to be the target in each level and DOUBLE tap the shapes to spot them. - Each level contains more than one scenes. All the targets mentioned are scattered all around the scenes. Tap the left or right triangle to change scenes. - For more elaborate instructions, use the tutorial in the game. Overview: Start your craziest family holiday with a turbulent and crazy family journey in Sunny Hillride - even your pet parrot is on board! Race and jump across hilly, colorful landscapes of forests, deserts, snowy mountains and beautiful meadows. Make sure that you don't run out of gas and don't lose your luggage performing daredevil stunts  the roof of your RV is piled precariously high. Suitcases, bags, the birdcage and your fellow travelers must arrive safely at the holiday resort - else you won't get the full score. Tons of rewards await you as you hills and valleys. Try not to miss any of the coins and souvenirs lying around. Sunny Hillride is a fun journey with the whole family, filled with adventure, fun and speed! 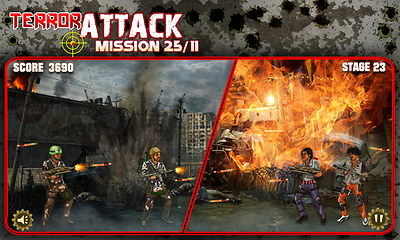 Overview: Terror Attack Mission 25/11 is One of the best Shooting Game for Android. The theme of the game is based on a horrible terror attack of 21st century. You are a brave member of anti-terrorist commando force and this game enables you to lead the commando raid. Your mission is to fight against ruthless terrorists who has hijacked our property, plane, buses, airport and buildings, and are using explosive trucks and suicide rs to threatened the city. The fight has begun, select the more powerful and advanced gun of your choice, locate your target, take aim and go for the perfect killing while avoiding unarmed civilians. Slide your finger across the screen to move the gun point and kill all of them. Each new level gives you a new mission, take down all terrorists in one level to go to the next mission. Accuracy of enemy gun point increases with each mission. This is a man to man encounter and you should be brave to face the terrorists who are trained in modern warfare. Overview: Trey and the gang return with an exciting new story! Terrible storms are approaching and Matilda, Treys Dragon friend, is getting very tired of blowing them away each time. Trey and his friends Brainy and Tuff decide to do something about it and go on a journey to find out whos behind these storms once and for all.Youll travel far away from Tribloo Island, visiting exotic new locations, above the clouds, beneath the oceans and also get to pilot a Tribloo Airship! Uncover the mystery of strange devices left over from an ancient civilization and save your home. 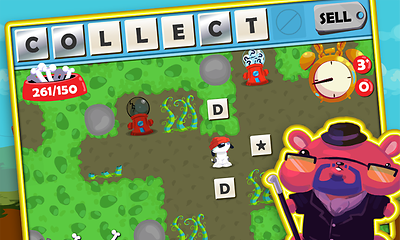 Overview: A lost puppy finds himself stuck underground, and must dig his way out while spelling words with the letters he finds. Find your way to the bottom of 7 unique levels, collecting items and bonuses and meeting a crazy cast of hip-hop slang-slinging animals along the way. - Fix crash when selecting a playback notification after closing the app. - Fix KitKat issue with notifications after switching to pro from free (Tasker / Locale users: this will require task recreation). Overview: Photo FX shows YOUR photos as your live wallpaper! The best photo LWP on the market! Watch your favorite pictures drop one by one with stunning animation! - added 10 high quality Christmas backgrounds! Overview: The million-selling Backbreaker Football is back with a vengeance - and this time YOU tackle! Backbreaker 2 again raises the bar for graphics, physical animation and pure fun. You spoke, we listened: tackling, trucking, jumping  its all here! Take down the ball carrier in Vengeance Mode, or fight your way to the endzone in the classic Tackle Alley mode. Whatever you do - this is the best Backbreaker yet, so enjoy the ride! As well as the existing spin and juke moves, you can now jump and truck. Its a whole new game! Really rub your opponents noses in it with new multi-touch super showboat! Youll bag more points, but your player will slow down. What will you risk? Its not going to be easy to get into the endzone. Obstacles and obstructions, such as hurdles and truck gates, are there to make your life that little bit more... challenging. this time with a few extra twists! Two all-new stadiums have been added, including  for the first time  the breathtaking day-time San Francisco stadium from Backbreaker on Xbox 360 & PlayStation3. Backbreaker 2: Vengeance features console-quality lighting and awesome display resolution. And just like the original Backbreaker Football, the action is powered by NaturalMotions Morpheme and Endorphin animation technologies  now even smoother and more physical! Overview: Neon Snap is a simple yet challenging game of pixel-art themed puzzles made from tetrominos! Each puzzle is made up of seven different piece types, which all snap together inside each level's grid to create pixel art shapes. Tap and drag pieces onto the grid, and rotate and move them around until they all snap together to complete each puzzle! 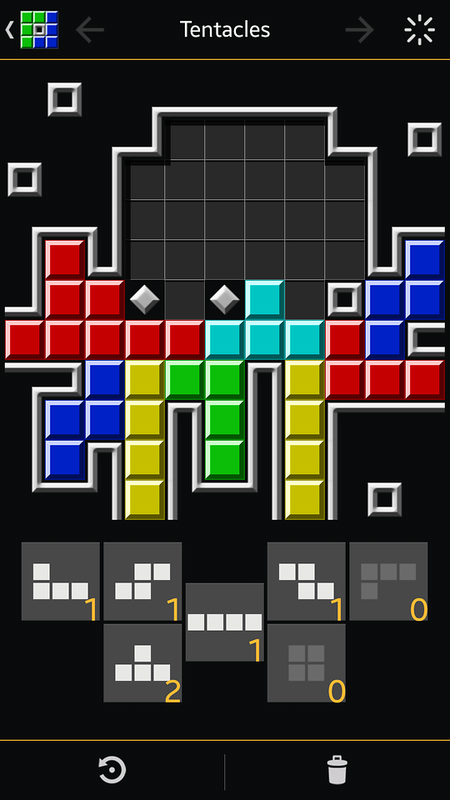 Can you solve all 100+ levels? 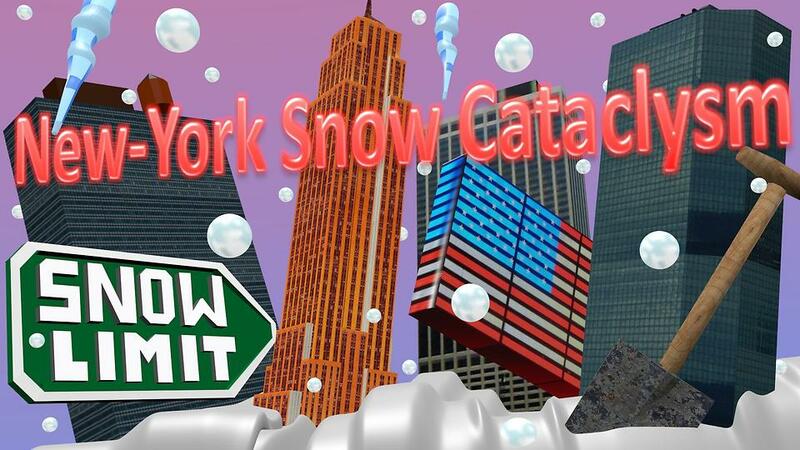 Overview: You lose if an icicle falls on your character (tap on it before), or if there is too much snow (move your worker where there is too much snow) Two play modes: levels increasing in difficulty, or an infinite mode with the Endless Storm of the week. In Every level you can see other player names where they have lost, and the Top 3 players name of the level. Your worker speed depends on its mood. Improve its mood by tapping fruits and energy drinks, but if you give him too much he will go to lazy mood. Improve its mood by tapping your character from time to time, but if you tap him too much he will be upset and slow down. Overview: Meet Oddy Smog, nothing but a tiny bit of the Smog that Engulfs Everything. Overview: Gameloft has harnessed the power of the revolutionary Unreal Engine to bring unimaginable battles in real-time, full 3D graphics. Live the unforgettable journey of Sir Lancelot as you never have before!  New multiplayer mode: Juggernaut. One player is the Juggernaut and everyone else has to hunt him down! The Juggernaut gets special powers and is bigger than all the other players. Kill him and you become the new Juggernaut! Run 1st with Wifi On, Work Online/Offline. Tested without issues on Tegra2, Tegra3, Adreno and PowerVR. My apologies to those who have been waiting for this release, but for family and professional reasons only now I could respond to the request. Overview: Paddle Trouble is a fun little game that aims to help you fill those few moments where you wait for something, or while in commute. The premise is simple, don't let the balls fall into the Void (Not really ed). It starts off slow enough to get the hang of it but then it goes faster and faster and you also need to worry about certain traps that spawn at times. Games doesn't have an end really, it is the type of game that you can just pick up and play. Join Jack and Jill as they defend their neighborhood against an icy onslaught  how many bullies can you clobber with snowballs before you have to head home? Overview: Have you ever played Angry Birds? Of course you did! 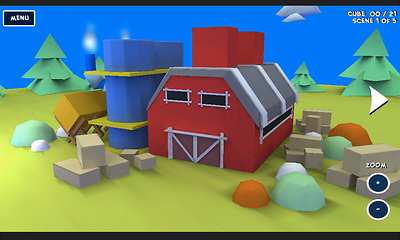 So you will love this game, it uses the same destroy and crush mechanic from popular games like Angry Birds or Crush the Castle, Cubes War is a lovely game where you control CUBES which are trying to defeat TRIANGLES. In Cubes War all you have to do is to pick cubes by your finger and throw them to crush triangles, so what are you waiting for? come and enjoy Cubes War for free. In Cubes War most of the levels are based on your finger speed so this can be a way to test your speed and agility. Overview: Drawdle challenges the mind and stimulates creativity with 60 levels of unique, drawing-based gameplay. Featuring realistic physics, charming visuals and relaxing music, Drawdle makes for a puzzle experience unlike any other. - New challenges Added map. - Google Play Games included. - Added Russian language. - New in-game voices of professional actors. - Ability to restore purchases. Overview: FRep is Finger Record/Replay App. Once you record the routine operation, you can replay it by single trigger. Progress: record and construct editable sequence separated by input gap. *Time limit: 10 min per record. - Do not record including personal information and/or password. - The replay result may differ depending on the CPU load and/or network traffic. To make good reproducibility, take longer delay for processing wait, stop touch at end point for dragging/flick, and more, try to Edit Sequence with image matching (see Tutorial category in support site). - By default option, the records will be saved in sdcard. Though it can be copied for backup, it has no compatibility with other device. THIS SOFTWARE AND THE ACCOMPANYING FILES ARE DISTRIBUTED and SOLD "AS IS" AND WITHOUT WARRANTIES AS TO PERFORMANCE OR MERCHANTABILITY OR ANY OTHER WARRANTIES WHETHER EXPRESSED OR IMPLIED. LICENSEE USES THE SOFTWARE AT HIS/HER OWN RISK. NO LIABILITY FOR CONSEQUENTIAL DAMAGES. - Enables Tasker / Locale Plugin to start replay. *With too heavy load, the tap control may still fails. For better reproducibility, record and use actual tap operation. Overview: This is a fun pet training game! A free breeding game application with a lovely hamster! Feed and train your cute Hamster at your leisure period. Raise the Ham by boiled rice or stroke, or the belly is full, food will be brought back to a house! You will enjoy many cute behavior of your pet- eating, playing, moving here and there. The training method is various! Let's raise the Hamster every day and look for its various lovely expression. - If the Ham is dragged to the wheel car, it will begin to play! - Coin can be collected. - Food can be raised with a care button. - Using go button, a hamster can be moved or furniture can be redecorated. - If the double-tap of the screen is carried out, the hamster will approach! - When the hamster is idle in the wheel car and you feed it, some point will be generated. - When Hamster's stomach gets full, the points will increase by bringing back the rice to a house. - The more hamsters increase in number, the more coin and an experience value are saved easily. Get bonus cheese at level up by taking care of you Hamster. Also get cheese by playing Mini Game! 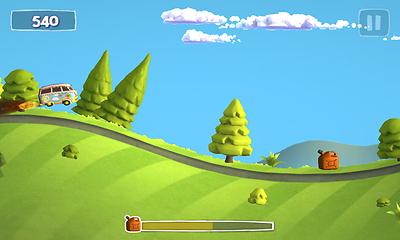 At the menu screen, touch the Put button at lower-left of the selectable hamster. - The collected point can purchase furniture atshop. - The bought item can be chosen from a property button and can be arranged. It is a easy game. You need to tap the screen once in every 1 hour. You will get various gifts like coin, cheese, item, hamster etc! At level up, two or more cages can be possessed by coin consumption, direct buying, etc. Moreover, a hamster kind, a design, a decoration, etc. can be changed with each cage. Probably, it is also good to change the method of training of a hamster with a cage. It can be purchased from shop. install it from menu. The training method of a hamster can be increased. If you have any inquiry, please contact us through gmail address at visitor section. Note: When you uninstall the game, the game data is deleted and gets initialized. Overview: Step into the wonderful world of gardening with Hello Kitty and her friends in Sanrio's new app, Hello Kitty's Garden. Overview: The war between the Empire and the Orcs is breaking out! It is predicted that a true warrior would lead the army to conquer the Orcs, and become the king of the virtual little empire! Warrior, command your cavalry, infantry, archers and spearmen, use your wisdom to crush enemy tribes and destroy the den of Orcs! Unlock new troops and upgrade their attributes to get more power-ups! Watch units transform as they level up! 2. Five offensive lines, so you can organize your soldiers in different formations and correspondingly the enemies will have coping strategy to send NPCs, which makes the game more interesting and challenging. 4. Wide variety of combat arms, such as footman, spearman, knight and archer, and each has their own skills and characteristics which can be upgraded. Correspondingly, the enemy also has variety of orcs, tigerish, strong, rapid and almost indestructible powerful boss. The key to victory is the good co-ordination. 5. Variety game modes frequently illustrated in different levels, so you will always keep a feeling of freshness. 6. Polished graphics and glorious magic effects. Highly valued details of the design. And you are the hero to lead this epic war! "Der Download lohnt sich, vor allem für PvZ-Fans"
We believe that everyone is a gamer at heart and that games are a great source of joy and relaxation. So Ezjoy always try to make the games easy and joy. For Empire VS Orcs, we want to make it one of the best strategy games on Android and your 5-star reviews keep us inspired and motivated. - Added fixes to improve stability and performance. Enjoy it and thank you for supporting Empire VS Orcs. Overview: A Multiplayer First Person Shooter With COOP Survival MMO (Zombies). Joining Clans allows you to group up for battle and Voice Chat helps you organize your team. - Keys now save to user accounts. - Doors now smoothly open and close. Future Ops multiplayer maps were tested in this version, however they are disabled until after the holiday break. ● Added 'No Icon' option for Android > 4.0.x under 'General Layout'. ● Added FAQ option to the app menu.